India based global Mobile Value Added Services (MVAS) providers IMImobile today announced the launch of a wide range of Data services including social networking tools for over 2.2 million subscribers of Spice Nepal (brand Ncell which is known as ‘Mero Mobile‘) in Nepal. The successful deployment of Data Services provides Ncell’s Mobile subscribers to access to a rich catalog of content including wallpapers, ring tones, animations, themes and games as well as a host of information and utility services delivered over multiple channels including SMS, Web and WAP. The services are powered by our carrier-class DaVinci Service Platform hosted and fully managed in the cloud epitomizing the platform-as-a-service model. The IMImobile’s MVAS portals also act as a one-stop launch pad for users to access popular social networking and web mail services such as Facebook and Gmail.These services have been brought to market for the very first time for Nepal’s subscribers. 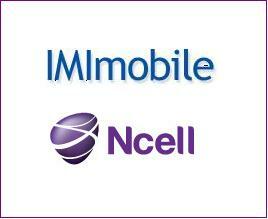 Pasi Koistinen, CEO of Ncell commented “We are pleased to partner with IMImobile in launching a range of new mobile data services for our subscribers. Our new brand Ncell reflects our corporate values of being a pioneer in the market and an agile provider of communication services designed to meet and exceed consumers’ needs. Speaking on the launch of MVAS on Spice Nepal, Vishwanath Alluri, Chairman, CEO and Founder of IMImobile said “We are very pleased to have been selected by Ncell for the launch of value-added data services for their subscribers. This win and the subsequent launch are testimony to our positioning in the marketplace as an eminent and trusted partner to Operators in revenue generation.